This light weight, carbon fibre battery mount is designed to accommodate a 3-4s LiPo battery. It comes complete as a kit with 10mm/12mm load hangers and a high quality Turnigy 330mm velcro battery strap. 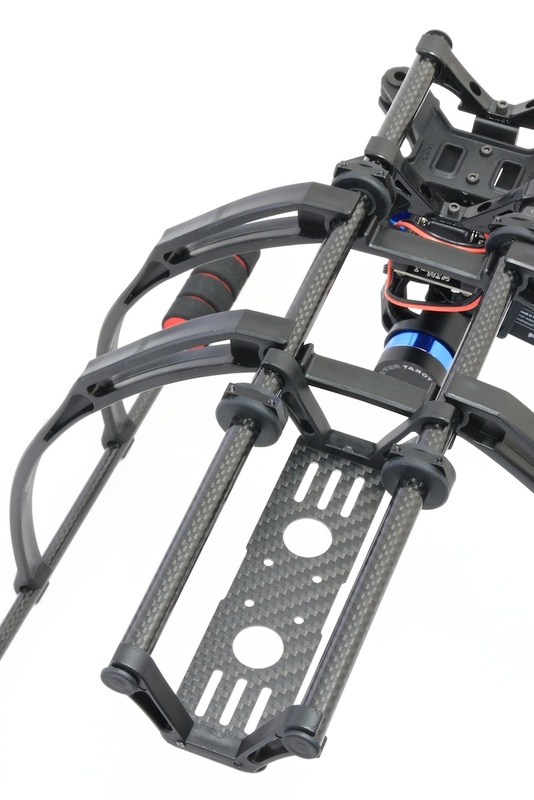 The 10mm version is an excellent match for our carbon fibre crab landing gear, especially if you are using a brushless gimbal as it can carry a battery to power it and slide back and forth to get the correct centre of gravity.